SQL Server Management Studio is the widely used tool for developers working on SQL Server development projects. There are numerous times when developers have to scroll through long pieces of code, figure out the logic, identify what variables are being used. While debugging or even while development scrolling through long pieces of code can become tedious. For example let us say I am working on a long stored procedure, i see a block of code way down where I would like to use a table variable or a temp table instead of the logic being used currently. I need to first scroll back way to the top define the temp table or table variable, then come back to the code section where the logic needs to be modified. This process could become tedious or some times we become lazy to keep scrolling up and down. 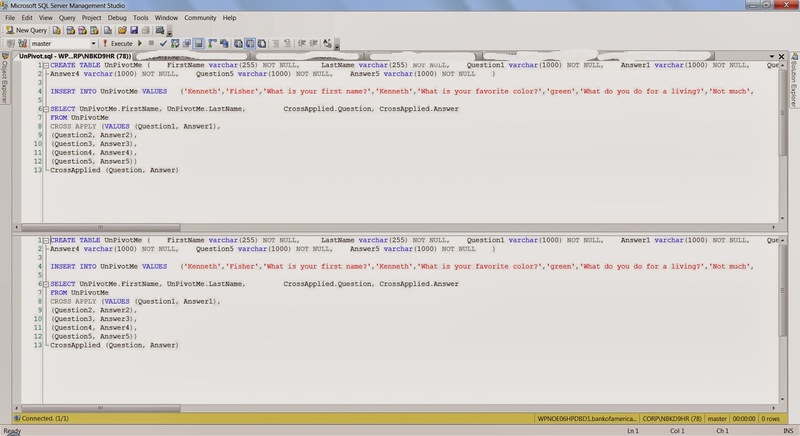 There is a feature in Sql Server Management Studio where in one can split current query window. 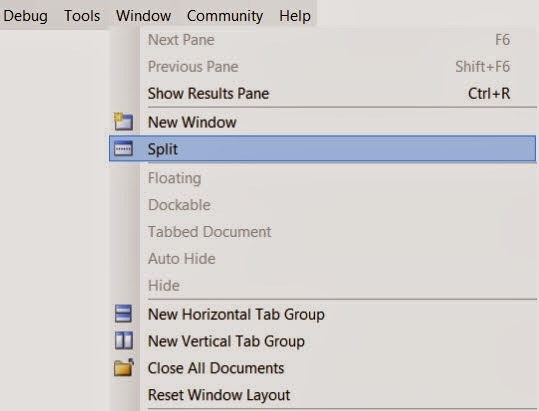 In SSMS, open the sql/script file , then in the Window Menu , Choose the Split Option. This would split the current query window into 2 Parts. Each window can be scrolled independently. In the example I was showing let us say I was working on the Lines 1200-1220, in the bottom part I could focus on the area of the logic, In the top window I can scroll all the way to the top of the code and declare the variables and temp tables. Please see the image below. There is also a blog post by SQL Server Expert Kendra Little on this very same topic. Here is the link for the blog post: http://www.brentozar.com/archive/2014/01/ssms-trick-edit-large-procedures-with-the-splitter-bar/.